Jungle Cruise is the original Adventureland ride. In fact, when Disneyland opened in 1955, it was the only attraction in Adventureland. You'll board a river boat and embark on a journey down the major rivers of Africa, Asia, and South America. Along the way you'll see various animals, native peoples, and skippers telling either either cringe-inducing or classic jokes (depending on your point of view). Location: In the middle of Adventureland between Aladdin's Oasis and Indiana Jones Adventure. # of Ride Units: Up to eight boats can run simultaneously. Ride Capacity: Each boat can hold around 32 people creating an hourly capacity of about 1,800. Wait Times: Wait times can be long on crowded days but generally won't be much more than 30-45 minutes. If you visit early in the morning or late in the evening it will practically be a walkon. Queue Description: The queue is made up to be the offices of a river boat tour company in Africa. On the most crowded days, the queue may go upstairs where it is less interesting in decoration. Health Restriction: None, unless bad puns make your angina act up. Ride Access: The queue is not generally wheelchair or ECV accessible, even at times when the upstairs portion is not being used (the turns are too tight). With the addition of a wheelchair accessible boat to the fleet, this is no longer necessary. Wheelchair Transfer: You no longer need to transfer in order to ride Jungle Cruise. In mid-2005 a new boat was added to the fleet of boats that has a pneumatic platform for wheelchairs and ECVs. 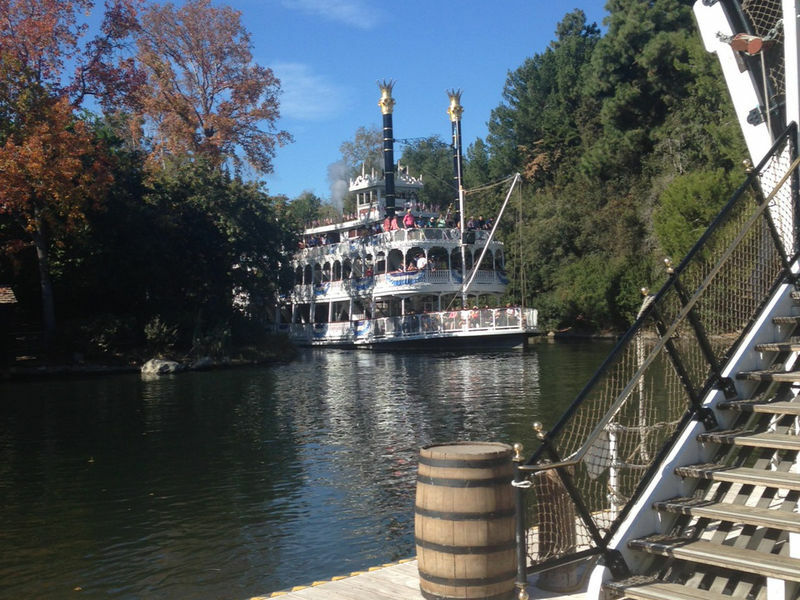 The boat is not in the general rotation, so speak to a cast member at the ride's exit and it will be brought out. The boat can only handle one wheelchair at a time, though. Audio: The entire show is audio based. Assistive listening devices are available. Weight and Size Issues: Should be none. The cast members will fill the boat as full as possible but can always leave more space for larger guests. Other Issues: In the hippo pool, the cruise skipper shoots blanks from a gun at the hippos. Riders may get wet in some scenes. At this location: Jungle Cruise is one of the opening day attractions and has been in this location since the very beginning. The Attraction's History: When the park opened, due to extensive coverage of its construction on television, the ride was one of the park's most anticipated. The ride opened with a much different experience than is given today. First, the foliage hadn't really grown in and was a bit on the sparse side. Second, the cast member skippers hadn't yet evolved the humorous presentation they quickly fell into, and finally several scenes were not yet added. The elephant bathing pool was added in 1962, the safari camp didn't show up until 1964 and in 1976 the ride saw a major updating with 7 entirely new scenes added. The construction of Indiana Jones Adventure in 1994 took over some of the queue space and the current two-story building was built and the track in that area had to be shifted a bit. One of the more controversial changes to the attraction happend in 2002 when the guns used by skippers to scare off the hippos were removed. Those guns later returned and in November 2004, the ride closed for another extensive refurbishment with several new effects (piranha, dynomite explosion) added.